Your office could be a target of laptop and other light ICT equipment theft. 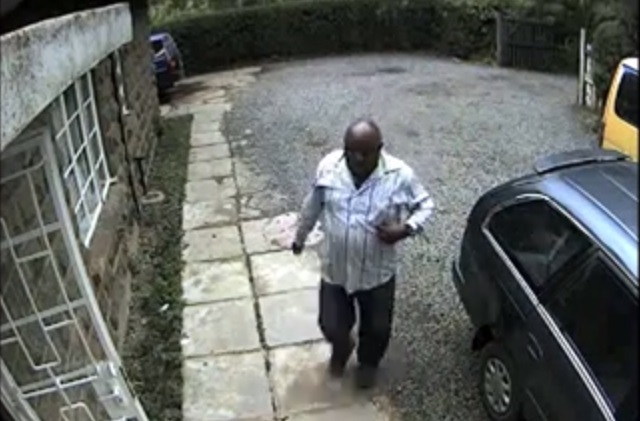 This CCTV footage shows how one laptop thief came in to a Kilimani office in the late hours when workers were either leaving or had left. He leverages the moment when security is lax and people are not active and poses like a random customer. If he finds the office empty he picks up valuables in sight and leaves quickly. The CCTV footage was posted by a Kenyan forum member who says that they operate in a cartel, naturally I’d assume there is the information collecting ones who dress sharply and go visiting offices to establish whether it’s possible to prey into. Now knowing how our offices are currently equipped and the familiar grounds tend to make people loosen and become aloof, it’s time you became alert at all times. Fortunately the person who’s laptop was stolen was able to track the laptop but the thief is yet to be apprehended. Offices outside Nairobi CBD are prime targets as they have low traffic and thus are easy to hit without attention. Another set of thieves are said to be preying at around Ambassadeur stage and National Archives in the Nairobi CBD. Targets are individuals with backpacks and the thieves will pretend to be requesting for a Kshs 50 for a meal, before you notice it you are surrounded by a group of 5-10 and they have cleaned you off anything valuable on you. See footage below and share.